Prof. Frayling has been working as a molecular geneticist for seventeen years, the majority of that time with common human traits and diseases, particularly type 2 diabetes and related conditions. He obtained a personal chair as Professor of Human Genetics in 2007 and head a team of 12 that has become internationally recognized as a world leader in the genetics of common traits and conditions. Outstanding contributions include the first robustly associated loci that influence adiposity (FTO, Science 2007) height (HMGA2, Nature Genetics 2007, Nature 2010) and birth weight (ADCY5, CDKAL1, Nature Genetics 2010) in the general population. 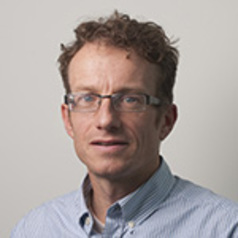 His training began as a Clinical Grade A trainee molecular geneticist in the Churchill Hospital, Oxford, where he learnt the basics of human genetics including linkage analyses in Duchenne Muscular Dystrophy and Bayesian statistics in Cystic fibrosis risk calculations. He began his research career in 1996 in Exeter in the field of monogenic forms of diabetes. His work, as a PhD student with Prof Andrew Hattersley, played a key role in the characterization of the genes for maturity onset diabetes of the young. Key work prior to the genome wide association studies includes some of the first use of meta-analyses and multiple replication studies to determine the role of common variants in disease. These include the assessment of common variants in the KCNJ11 (E23K variant, Diabetes 2003) gene in type 2 diabetes risk and the identification of the first robust associations between common variants and birth weight (TCF7L2 and Glucokinase, AJHG 2006 & 2007).